April 17, 2018. It is with much sadness that Disneyland has announced Mickey’s Halloween Party will not take place in 2019. This year Oogie Boogie Bash will replace Mickey’s Halloween Party and an updated post will be up soon. As the party will take place at Disney California Adventure. For more info read my post on Oogie Boogie Bash here. Mickey's Halloween Party is a such a wonderful event. I am blessed to go every year. I have covered Party Tips and attending the party without kids. If bringing children, these tips will help. There is much to do in Disneyland. These tips will make your party more memorable and enjoyable. Make dining reservations in advance. I recommend dining on the Rivers of America. Dine at Café Orleans or River Belle Terrace. Request an outdoor table. The reason for this is to enjoy the Cadaver Dans AKA the Dapper Dan’s. They dress up and perform on the Rivers of America. The barbershop quartet songs are now spooky Disney songs. The Cadaver Dans are delightful. This gives you a chance to sit down and eat real food. Not candy and relax and enjoy entertainment. For little kids this chance to sit down and rest a little makes a huge difference in their enjoyment. It might seem like a long time to spend during and a ticketed event to eat dinner, but it only takes about 45 minutes. Sitting down and having dinner is worth it. It makes the experience so much more pleasant for everyone including yourself. As a parent even when you’re having fun with your kids you’re still the boss. This gives you a change sit the kids down and relax with them while someone waits on you. This leads me to my second must do if you’re going with your children you have to go on the Haunted Mansion Holiday. Most kids go through a phase for they don’t like the dark or they get scared. 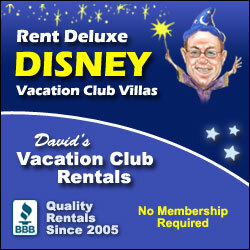 That is understandable, and that’s why am recommending you do the Haunted Mansion Holiday. With the Nightmare Before Christmas overlay this ride more kid friendly and adorable. I have had known many parents who say their children will only go on the Haunted Mansion during the overlay. If you don’t know if your child will go on the ride I always recommend going to YouTube first. Look up the Haunted Mansion Holiday ride through. Watch the video with your child if they are frightened by the video don’t take them on the ride. It also helps to watch the Nightmare Before Christmas before the party. If you have dinner in New Orleans Square, then you’re right next to the Haunted Mansion. So if you ride the Haunted Mansion Holiday proceed to Critter Country. Ride Winnie the Pooh without standing in line and trick-or-treat on the trails. Make sure you stop at Poohs Corner. The reason is the confections. Pooh's Corner is the best place to go buy a candy apple. You don’t have to stand in the line as long as you do at Candy Palace on Main Street. Take a picture of your child dressed up in their Halloween costume with their treat. This helps create a memory they will remember every time they see the picture. A confection is a special treat that helps make that Disney experience even more special. The candy apples are beautiful. They are something to consider trying with your kids. Every year I always get a confection for my children. It’s a nice way of celebrating the night. Some believe the candy from trick-or-treating is enough. Why buy them a confection? Buying a treat is about making the night memorable. Stopping to get a candy apple and taking a breather is a nice way to decompress. You’re not sitting down and taking a break you’re sitting down and enjoying a special treat with your family. Do not miss the Frightfully Fun Halloween parade. Let’s address the parade and the fireworks. The city of Anaheim will not allow Fireworks past a certain time anymore so there is one Fireworks show. But there are two parades. The parade is a must I prefer first parade. Despite needing to find a spot about an hour beforehand. This is why in my other post I recommend grabbing takeout food and then claiming your spot and eating. This is a ticketed event. You are paying for it so the time you spend sitting doing nothing can upset and frustrate you and the kids. But you must eat real food too much candy can make for tummy troubles for the littles. I always recommend the first parade with your kids if you plan on leaving early or you want to watch the fireworks. It’s easier to claim a fireworks spot if you view the first parade on Main Street. Consider then you’re spending about an hour to two hours of your night waiting for things to happen. I recommend going to the first parade and then skipping the fireworks. Or just waiting for the second parade. If you view the second parade ask where the first one started. So if it started on Main Street grab a spot over by It's a Small World 20-30 minutes before the parade. Disney always reminds people in the first row to sit. The second row has its advantages if you like to take pictures. The parade will be fun for everyone. Adults and kids. They’ve got villains you rarely see. The Haunted Mansion floats and entertainers are amazing. Jack and Sally will wave at you. 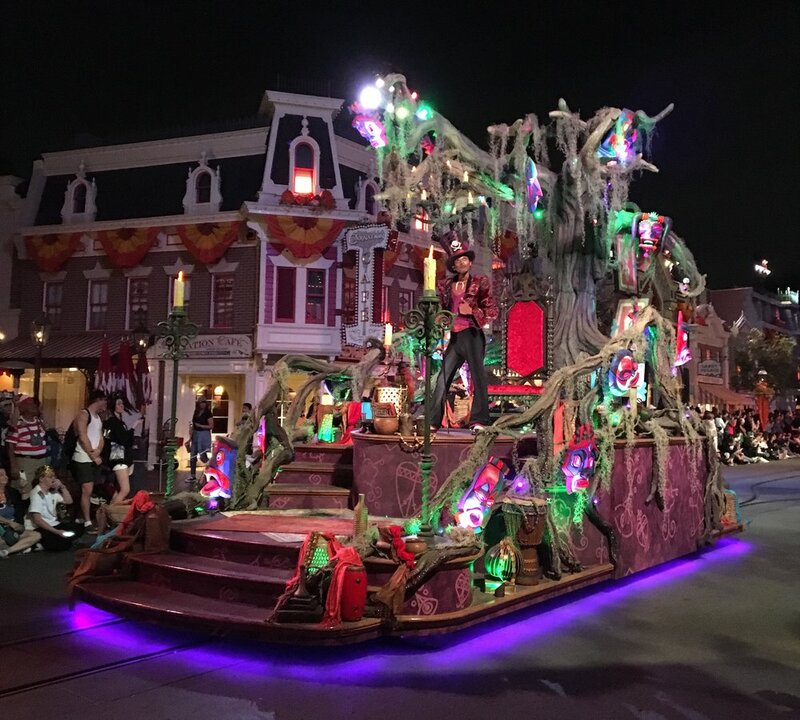 The Frightfully Fun parade is something you should not miss. Finally, you must search for rare and hard to find characters. Make sure you use Instagram. A Hashtag like #Mickey’sHalloweenParty might yield results. This hack will help you find rare characters. For example Mulan is difficult to find. Sometime she’s there in the mornings at the gates or at Royal Hall but she’s barely ever there. She makes appearances at the Halloween Party. Same goes for Pocahontas. You can use the Disneyland App too. But some characters are walking around and not doing a traditional meet and greet. Also consider the villains. Disney villains you seldom see should make appearances. Spot all the rare characters you can. Follow me on Instagram. I am attending the first party and will go live on Instagram. I also recommend families with children ages five and under bring a stroller. You can park it and check on it every so often if you do not need it. A stroller will make for happier kids. If they get tired, you can push them. When their candy gets heavy, you will not have to carry it for them. It also enables you to walk to and from your car if you park at Mickey and Friends. On days where there are long tram lines you may get to your car faster. If your child will fall asleep on the car ride home bring their pajamas and toothbrush. You can change them at the Baby Care Center and brush their teeth. That way you will not have to walk them up to change and brush their teeth. I hope your children have an amazing time. If you have questions ask in the comments or call Disneyland because the Cast Members can help.